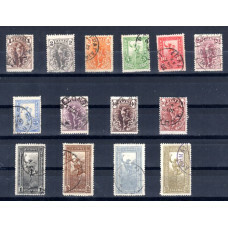 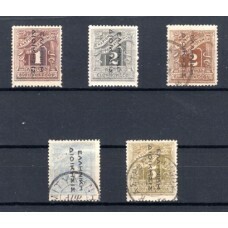 complete set, hinged except 3dr value that is in mint condition..
Black typographic overprint "ΕΛΛΗΝΙΚΗ ΔΙΟΙΚΗΣΙΣ" reading down - complete issue, used & hinged..
1912-1913 Typographic Overprint "ΕΛΛΗΝΙΚΗ ΔΙΟΙΚΗΣΙΣ"
red overprint (reading down) on lithographic issue 1913 - complete issue, value 1λ. 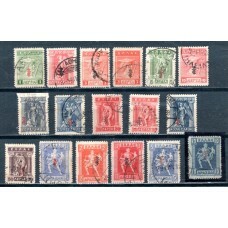 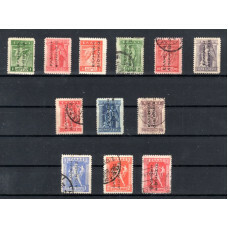 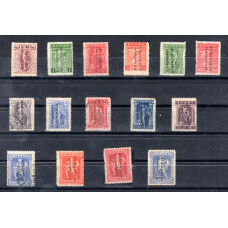 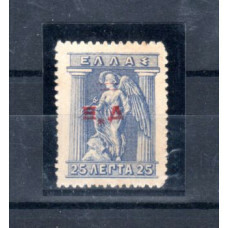 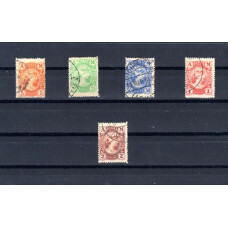 is used..
red overprint (reading up) and horizontal on engraved (recess) issue 1911 - only the value 25δ. 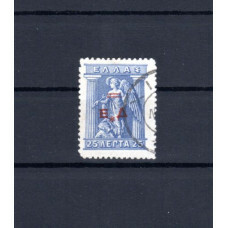 (hor..
black overprint (reading up) and horizontal on stamp of "Flying Hermes" 1901 & engraved (recess)..
incomplete issue, used & hinged - values 10δ. 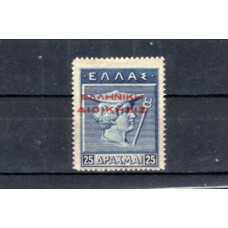 and 25δ. 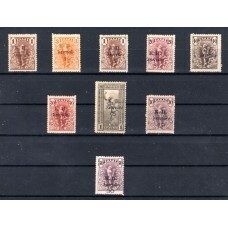 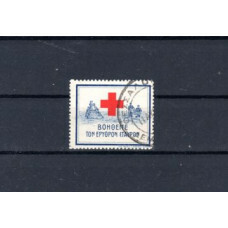 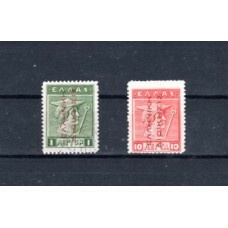 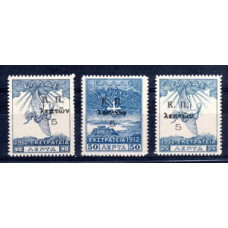 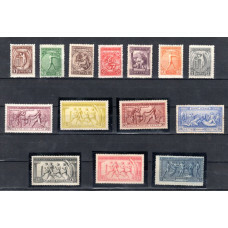 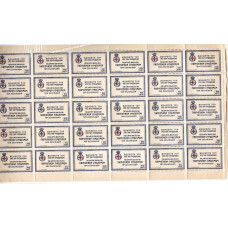 are missing..
1917 Black Surcharge On stamps of "Campaign 1912"